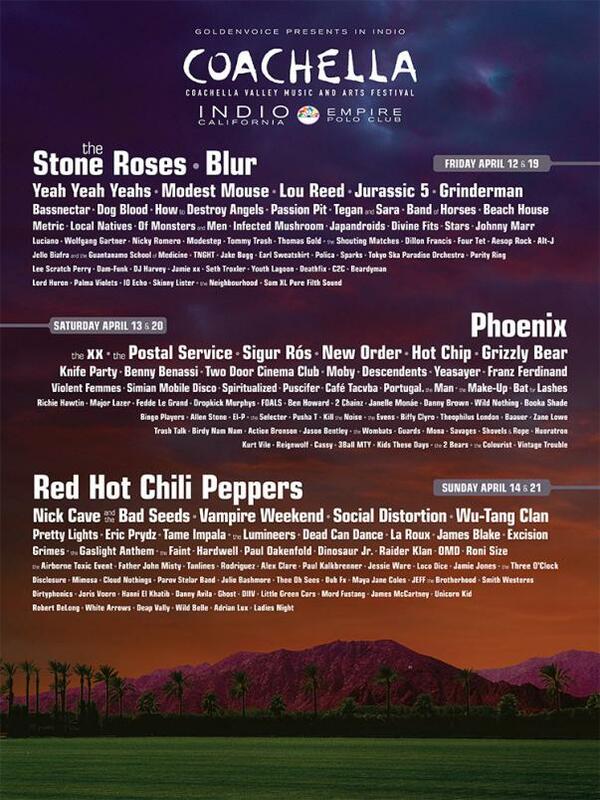 I made it known that I would only want to go to Coachella this year because Snoop Dogg and Dre. Dre are the closest I’d ever come to seeing my generation’s Tupac and Biggie. But this? 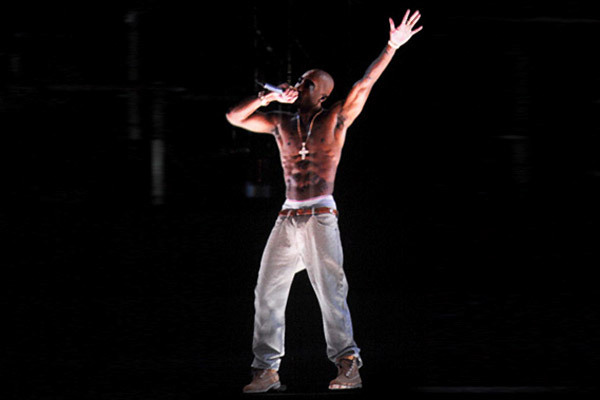 Seeing the actual …err, a CGI-ed Tupac on stage? That just blows my mind. Tupac appeared on staged and performed “Hail Mary” and “2 of Amerikaz Most Wanted” with Snoop. That’s right, folks. 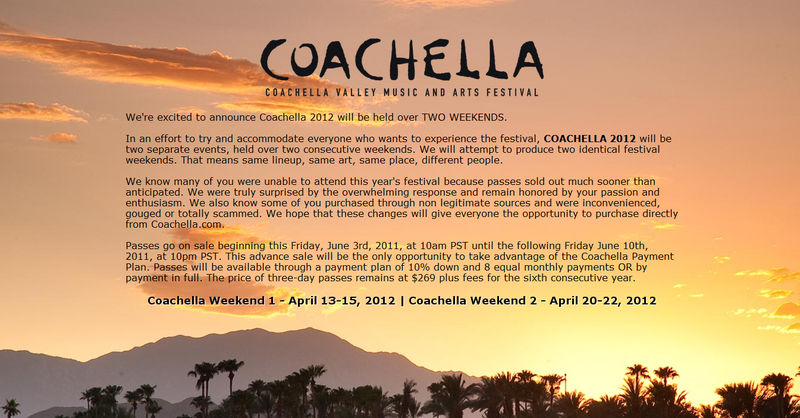 After selling out this year’s festival in a record six days, Coachella 2012 is giving you the opportunity to attend the massive music festival with the same lineup and artists, twice! It’s more of an opportunity for those who lucked-out of buying tickets to have a chance to attend the second, or first, time around. The Coachella Valley Music and Arts Festival have announced plans to hold next year’s event over two consecutive weekends (April 13-15 AND April 20-22) at the Empire Polo Grounds in Indio, California. A couple of days ago I posted some electro/house music on the site — it was the first time having that genre up. 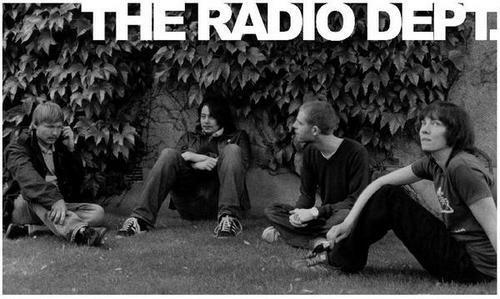 Now, we’ll add dubstep to the site in honor of a mini-compilation by none other than rising star DJ Skrillex. I saw Skrillex live at Coachella and was amazed by the legions of fans that show up to support. It was one of the most-filled tents I saw during that entire weekend. A couple of days ago Skrillex along with buddies Zedd and 12th Planet, gave away 3 new tracks for free. My COACHELLA Playlist: Kanye West, The Strokes, Eliza Doolittle, etc. Only a few more hours. F*ck yeah! I’m stoked. Tomorrow shall be the beginning of an amazing weekend for all you folks heading out to Coachella. Seriously, I might pass out; and not from the heat, but from all the glorious music! Alright, so we introduced many great artists and bands during our Countdown to Coachella series, and I’m saddened that we weren’t able to bring more artists into the limelight, but I’m sure you’ll be seeing a lot of them more on the site. I have compiled a set of tracks from several artists and bands whom I will be checking out during this weekend’s festivities. So, if you can’t join us, you can still jam with us. I Just Want To Dance To . . .